This looks awesome Scott. Great review and those fries sound good too. I went to IU and never had the burger at Nick's. It will be my first stop next time I get back to Bloomington. Get the tenderloin too! It was awesome. Thanks Alex. Keep me updated on the happenings in Bloomington. Update: Finally 21, and finally legal to enjoy Nick's as it should be. It's now one of my favorite spots for both drinking and dinner... and the Sink the Biz fries are MY FAVORITE! I can't wait until you all make your way back here again so I can actually come hang out this time :-P I have yet to try a cheeseburger here though, but I think we're going tonight, so I'll definitely have to try that!!! 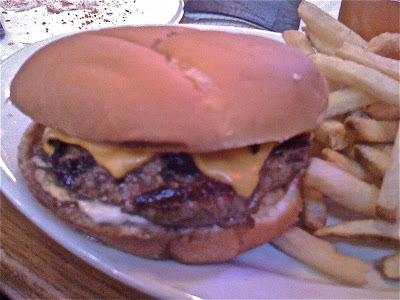 Hi there, I justwanted to say you should try the Tenderloin at Pawn Shop Pub in Indianapolis. 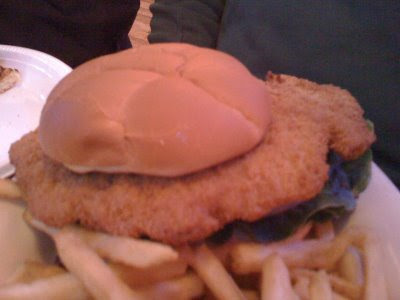 I've had the Nick's tenderloin which is very good but I actually think the one at the Pawn Shop Pub is a bit tastier. It tastes like it is homemade from your grandmas kitchen.Very juicy and and the breading is very unique.